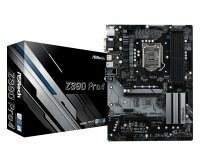 Asrock motherboards equipped with the latest Intel processors create an exceptional platform on which to build a new PC. And Ebuyer stock a large range of incredibly powerful Asrock Intel motherboards. And, with different chipsets and form factors available, you are sure to be able to find the right board for your system. Check out the options on the left of the screen. Don't forget that Ebuyer offer fast delivery so why not buy your new motherboard today?